ONTARIO — Avita Health System has announced the addition of Linden Karas, MD, a fellowship-trained Bariatric Surgeon, as well as a comprehensive metabolic and bariatric surgery program. Through Avita’s Center for Bariatric Surgery, individuals struggling with health problems and disabilities as a result of obesity have several options to improve their health and quality of life. Bariatric and metabolic surgery have helped thousands of people discover life at a healthier weight, resolving many health conditions associated with severe obesity. Reducing weight helps individuals reduce the severity of many other diseases as well as their risk of dying,” said Karas, who begins her practice at her Ontario office in September. Gastric Bypass: The surgeon creates a small stomach pouch and attaches it to a portion of the small intestine, allowing food to bypass a portion of the small intestine causing fewer calories to be absorbed. This procedure causes patients to feel full sooner and eat less food. Sleeve Gastrectomy: A thin portion (or sleeve) of stomach is created and the excised portion of the stomach is removed. By reducing the size of the stomach, individuals are limited to the amount of food they can eat. Gastric Balloon: An inflated, silicon balloon is inserted into the stomach endoscopically (through the mouth) so there is less room for food, creating a feeling of fullness. Adjustable Gastric Banding: A band is placed around the upper part of the stomach, squeezing it to decrease how much food can be consumed. The tightness of the band can be regulated through a port under the skin on the abdomen. The first step for individuals who are considering bariatric surgery is to become informed about the surgical options and the pre-surgical process. 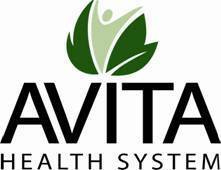 “Avita’s program is very thorough and patients are required to complete several pre-screening appointments and tests prior to surgery, which is standard in any quality bariatric surgical program,” Karas said. Pre-surgical requirements include clearance from a primary care physician and psychologist, lab work, radiology procedures, and visits to a nutritionalist and/or dietician. To determine if you are a good candidate for bariatric surgery, patients and family members are encouraged to attend an in-person bariatric seminar. Dr. Karas is holding a free seminar July 20 from 6:30-7:30 pm at Ontario Hospital, in the second floor conference room. Participants can meet Dr. Karas and learn about the benefits of bariatric surgery; the program itself ,including patient requirements; and surgical options. RSVP by calling 419-563-9823 or by emailing nbritton@avitahs.org. Dr. Karas obtained her medical degree from Wright State University Boonshoft School of Medicine. She continued her education and training through a General Surgery Residency program at Mercy Catholic Medical Center, which was followed by a Fellowship in Advanced Laparoscopic and Bariatric Surgery at the Cleveland Clinic. During her residency, Dr. Karas received the Outstanding Minimally Invasive Surgery Resident Award. Dr. Karas has presented numerous research studies at national conferences and belongs to the American Society for Metabolic and Bariatric Surgery, the Society of American Gastrointestinal and Endoscopic Surgeons, as well as the American Medical Association. For more information on Dr. Linden Karas or the Avita Center for Bariatric Surgery, call 567-307-7854.